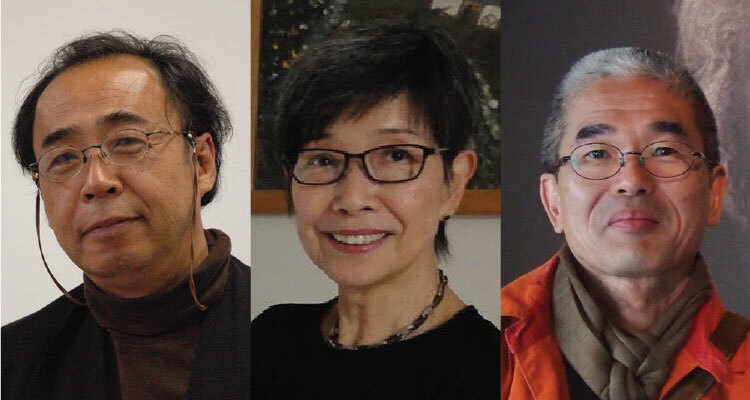 To mark and celebrate the publication of Sasaki’s new poetry collection in English translation, Sky Navigation Homeward: New and Selected Poems, Mr. Mikiro Sasaki, Dr. Mitsuko Ohno, and Prof. Nobuaki Tochigi are joining Cúirt 2019 to offer a bilingual presentation of poetry through reading and talk. Mikiro Sasaki, born in Nara in 1947, was Poet in Residence at Oakland University in Michigan, and part-time lecturer in music literature at Tokyo University of the Arts, Graduate School of Music. Since his first collection The Whiplash of the Dead (1970), he has published Searching for Wild Honey (Takami Jun Prize), Tomorrow (Hagiwara Sakutaro Prize), and other works. His essays and critical collections include Nakahara Chuya (Suntory Arts Award), Asian Sea-route Travel (Yomiuri Prize for Literature) and many other titles. Mitsuko Ohno, Ph.D. and Professor Emerita of Aichi Shukutoku University, is the author of Yeats and the Tradition of Anglo-Irish Literature (1999) and Women’s Ireland (1998), written in Japanese. Her translations include Pharaoh’s Daughter, Selected Poems in Irish by Nuala Ní Dhomhnaill (2001) and On Two Shores, New and Selected Poems by Mutsuo Takahashi (2006). Nobuaki Tochigi is Professor of English at Waseda University. His Japanese books include From the Irish Pub: Explorations in Irish Oral Culture (1998), Poets Personate: Essays on Contemporary Poets (2010), and Travels in Ireland: from Joyce to U2 (2012). He has translated books by J. M. Synge, William Trevor, Ciaran Carson, Colm Tóibín, Bruce Chatwin and Colum McCann. He received the Yomiuri Prize for Literature for Whispers of Irish Memorabilia (2013).